Resembling an aeronautical version of the Pushmi-pullyu from Hugh Lofting’s Doctor Dolittle series of children’s books, the Matra-Moynet M.360/6 Jupiter awaits a flight at Paris in July 1965. 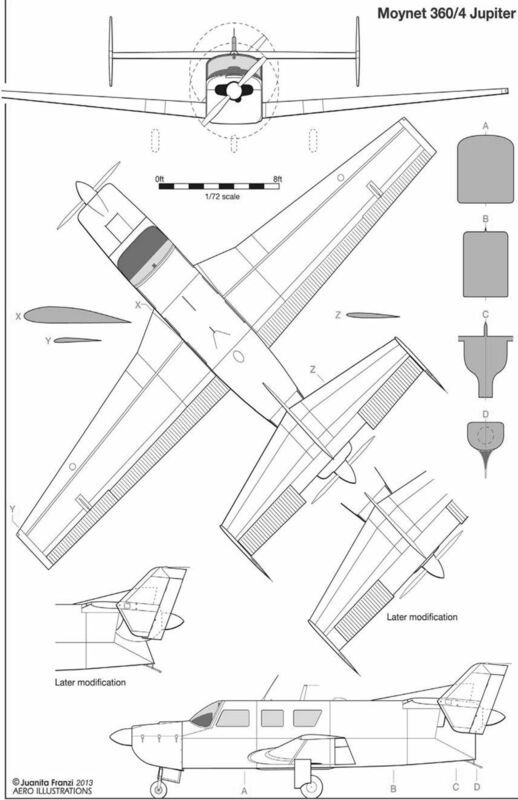 The unusual engine configuration was initially developed by Claude Dornier and used on the Do 335 Pfeil. 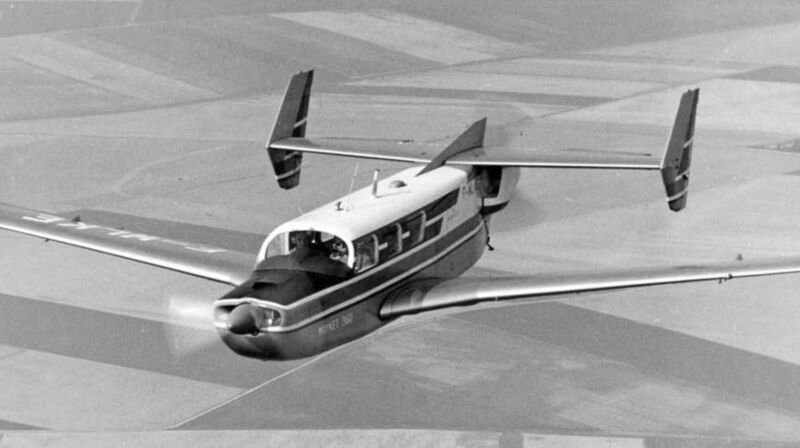 The M.360/4 at Le Bourget in 1964 - note how the tandem engine layout pushed the wing well back owing to the rearward shift of the centre of gravity. This placed the front two occupants well clear of the leading edge, giving excellent visibility. 17 декабря 1963г. : полетел первый (F-WLKE) из двух прототипов Matra M360-4 Jupiter, необычного 4-5-местного административного самолета с тандемной силовой установкой, сконструированного Андре Муане. Планировалось создание удлиненного 5-6-местного варианта. 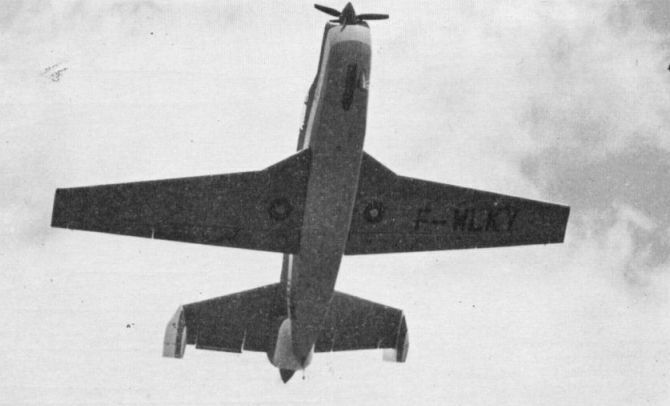 Bearing the prototype registration F-WLKE - the W would later be replaced with a B - the M.360/4 is put through its paces by British Flight journalist Mark Lambert at the Fete Aerienne at Cannes in the summer of 1964. Lambert found the Jupiter pleasant to fly, despite it being full of test equipment - and noisy - during his test flight. 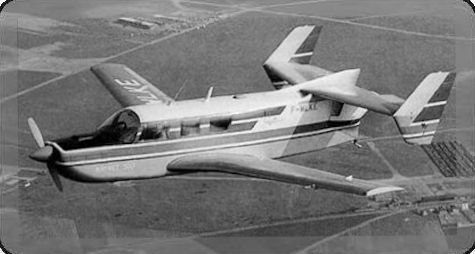 The prototype of the larger M.360/6, F-WLKY, in flight. The span was increased by some 15 in (0·38m) and the length by 2ft (0·61m). Increased power was provided by a pair of Lycoming IO-540 engines, the cabin (which could be pressurised) having provision for six to seven passengers. 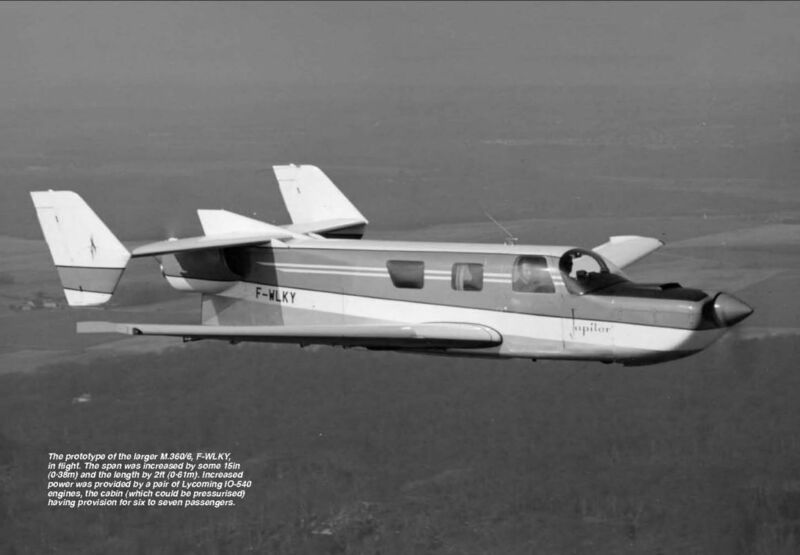 Looking here rather like an elongated Piper Comanche with a Lockspeiser Land Development Aircraft parked behind it, the M.360/6 is posed with the M.360/4 for a promotional shot extolling the virtues of the Jupiter as an affordable and versatile executive aircraft. It was not to be, however, and only these two and a static airframe were ever built.